Sigelei Fuchai V3 pods are fillable replacement pods for the Fuchai V3 pod system only. Fuchai V3 pods have a maximum juice capacity of 1.5ml and are simple to fill: just remove the base of the pod and drip in your e-liquid of choice. Once the pod is full, replace the bottom of the pod and you're ready to vape! Each pod can be filled up and used once. Sigelei Fuchai V3 pods come in a pack of 2. The Sigelei Fuchai V3 is a minimal, super-portable pod mod, perfect for beginners or for keeping you vaping on the go. 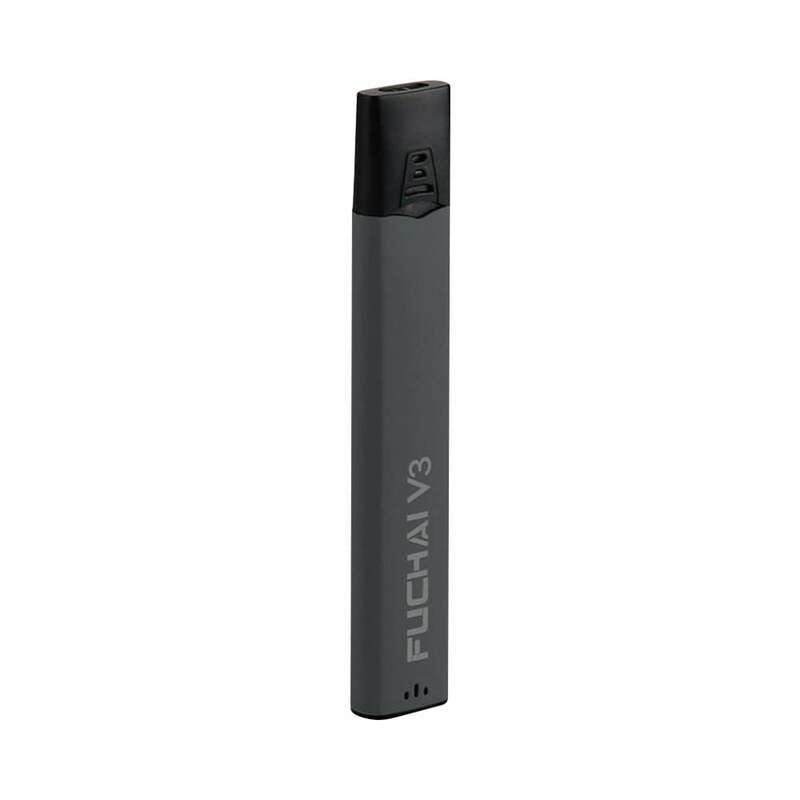 The Fuchai V3 stands at just over 4” tall, and has a slimline, compact body, ideal for slipping into a pocket or bag. Its draw-activated design means that there is no need for a fire button on the device: simply inhale on the mouthpiece to use your Fuchai V3! Sigelei’s Fuchai V3 is fantastic for stealth vaping; it delivers a seriously satisfying vape without producing huge clouds of vapor. A 400mAh battery powers the device, giving it great battery life, and when it’s time to recharge, just connect your Fuchai V3 to a suitable USB port using the charging cable included in the kit. The Sigelei Fuchai V3 takes fillable Fuchai V3 pods, which have 1.5ml vape juice capacity. To fill your pod, simply remove the base of the pod, fill with your juice of choice, then click the base back into place. Once you've finished one pod, switch it out for another. For a simple, highly portable pod system, look no further than the Sigelei Fuchai V3. Its fillable pod design gives it an added layer of versatility, while its small, slim silhouette makes it the perfect choice for vaping on the move. In response to Mark S., I agree it could be designed better. I took a razor blade and cut off all the notches around that tiny piece you insert into the mouthpiece. Then on the mouthpiece I cut off both latches on the sides. When I need to refill it, I use a tiny thin screwdriver to pry it off. A little more work when you start a new one, but less aggravation when trying to refill it. bought it on april used it on 28th jun and its not working not charging up. Best portable vape pen on the market, high quality material. Zero leaks even when going from 70 to 100 degrees. Best prices, Battery will last me the whole day. Very small and no button in they system makes it virtually hands free unlike other pens with a button. A dozen of my friends bought one each after seeing mine. My three star rating was actually a bit generous, and that's only because the V3 does produce a good mouth to lung vape. The problem with the V3, is that though the pods are fillable with your own liquid, they are NOT REfillable - at least not without it becoming a project. Unless Sigelei offers these for 50 cents each, the stubborn pods make this an expensive device to use. So, with that said, here's a way you can get the pods open, though you can still expect to be frustrated in the process. On the bottom edges of the pod (on each small curved side) are very small tabs that hold the coil base in place. These are in addition to the two little indented "catches" on each side of the larger front and back surfaces. These small tabs are what make it very difficult to get a screwdriver (or other prying device) under the edge of the coil base. So, before attempting to remove the coil base, slip a very small thin flat blade screwdriver into the short side bottom at the tab(s) and gently pry/bend so that the tiny little square tab breaks off. Now, you'll be able to much more easily get a screwdriver under the coil base and pry it out. Once out, you can refill the pod, and even rewick or rebuild the coil entirely if you're up for it. NOTE: After you have removed the coil base, be sure to remove the translucent silicone coil cover piece that will most likely remain inside the pod. Place that back over the coil base after filling and before snapping the coil base back in place. If Sigelei would simply redesign these pods so that they're easily refillable, this would be a four or five star device.